In addition to our Perfection signature range, we also stock a selection of Lillian West Bridal Dresses. If you would like to make an appointment to view the dresses, please call our shop on 01792 644937. 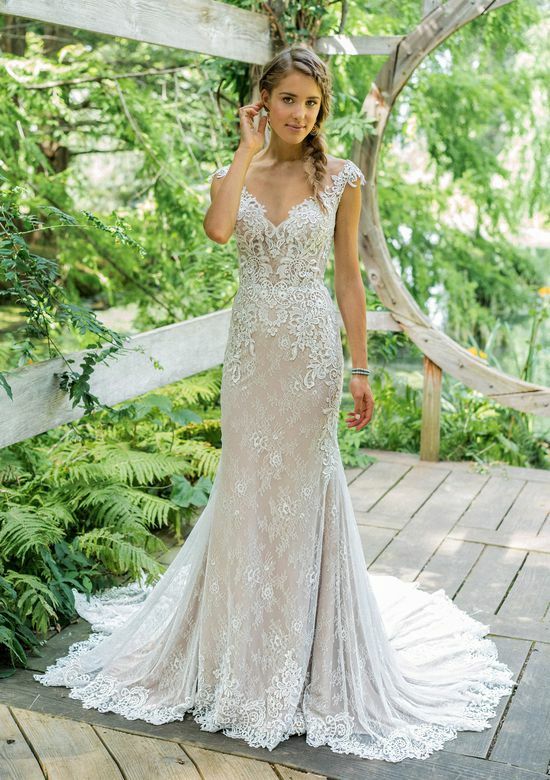 Hand beaded details adorn this English net slim A-line gown with an illusion beaded back, Jersey lining, and chapel length train. Corded lace adorns this soft V-neckline with illusion straps and cap sleeves. Jersey lining shapes the slim A-line and hand placed vertical lace creates a slimmer look. Buttons and loops finish off the comfortable illusion back. Romantic florals adorn this fit and flare with illusion straps that frame the V-neckline and keyhole back with buttons and loops. The hem is finished with a scalloped Venice hand placed lace. Allover Venice lace adorns this dreamy gown with stretch lining for effortless movement. Illusion straps with Venice lace create a feminine feeling to the illusion back. Finished with buttons to cover the zipper closure. A unique square cut back accented by corded lace creates a romantic look. With a scalloped illusion Sabrina neckline this gown is made for movement and is finished with trim lace at hem. This gown's soft tulle and Jersey lining create the ultimate in comfort. 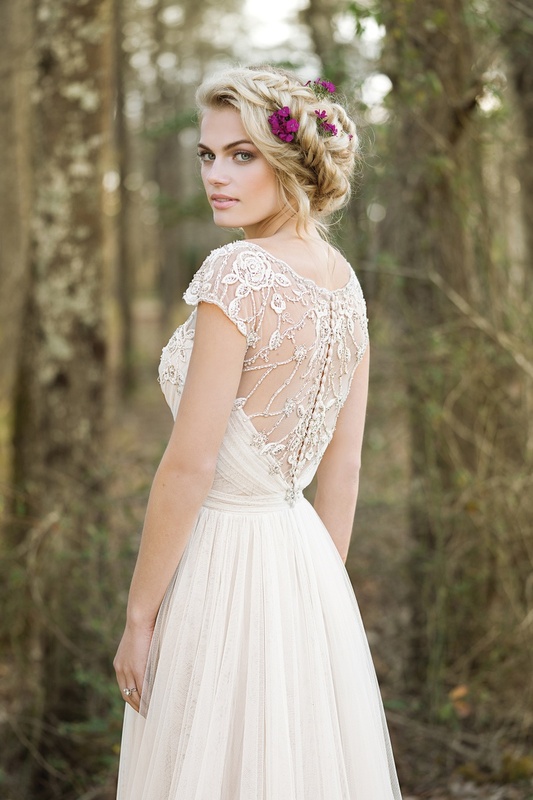 The illusion Sabrina neckline is accented with Venice and beaded laces for a touch of adornment. Venice lace and buttons complete the illusion back for the airy goddess. Your style is emphasized in this modern fit and flare gown. Featuring an illusion bodice with boning for structure and allover lace detail that flows to the skirt. Hem lace completes the chapel length train. For a final touch, the dress is lined in shapewear mesh to help you define your natural curves. Fall in love with this sleek fit and flare gown. Paired with a clean crepe skirt, the illusion bodice features carefully placed lace appliques that trickle over the waistline. The open back is finished with a soft strap detail and a chapel length train. Be dreamy in this feminine A-line gown. It features an empire waist and buttons to the end of the chapel length train. Illusion lace on the bodice helps to create a romantic feel. Feel flirty in this lace fit and flare gown that has a modern keyhole back with a tie closure on the back neckline. A chapel length train with floral hem lace completes the look. 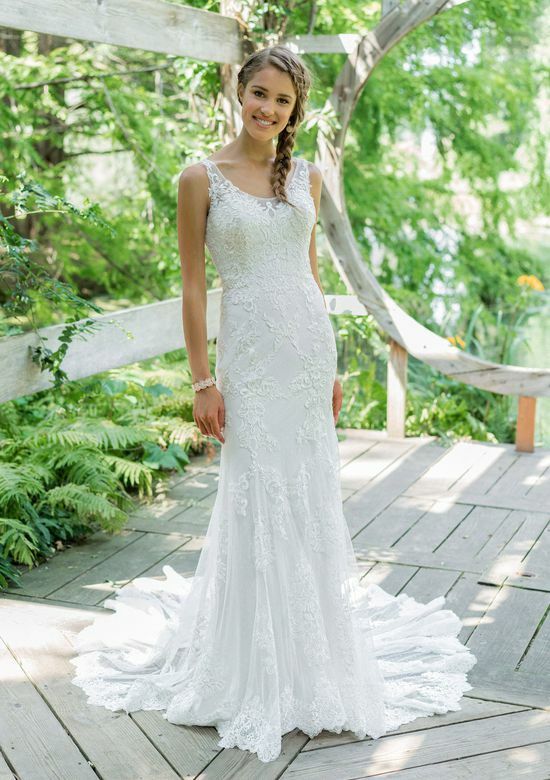 This lace A-line gown with an illusion jewel neckline is one to dream about. It features hand placed floral lace appliques throughout the skirt, a keyhole back, and a chapel length train. Buttons finish the look at the zipper closure. You can view more images of these dresses on the Lillian West website. Call us at the Swansea shop on 01792 644937. You will have a warm welcome! We stock off-the-peg wedding dresses in our shop too! Why not come along and try one on for size. We can alter it to fit you too.